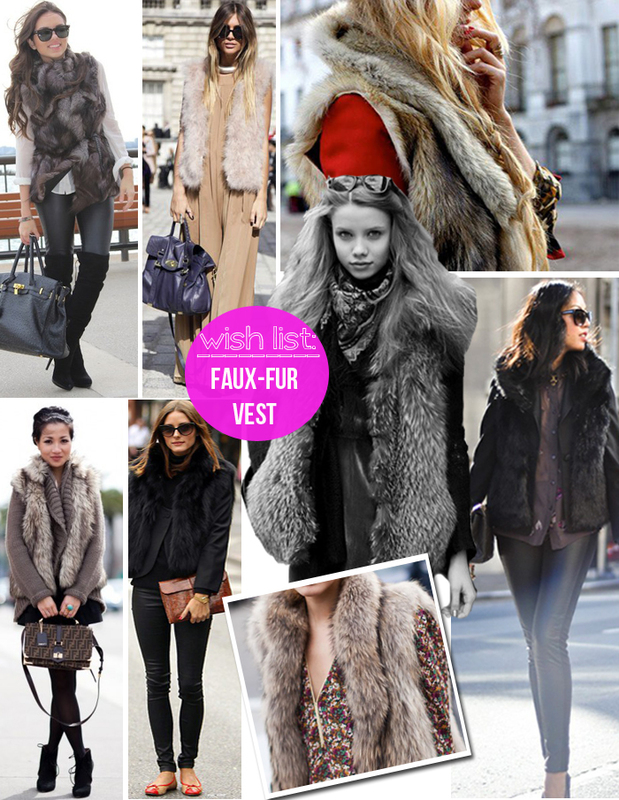 A faux fur vest can be a great essential for a fall and winter wardrobe. 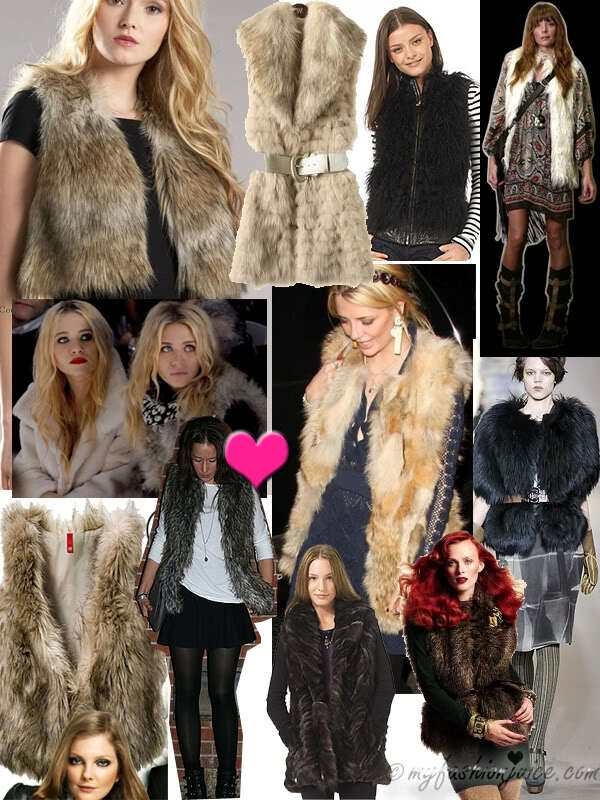 We have seen celebrities such as Mischa Barton, Kim Kardashian, and Rachel Zoe rocking faux fur vests on the night out. It could be intimidating at first with so much fluffy fur and no sleeves, but think of it as fun and playful! 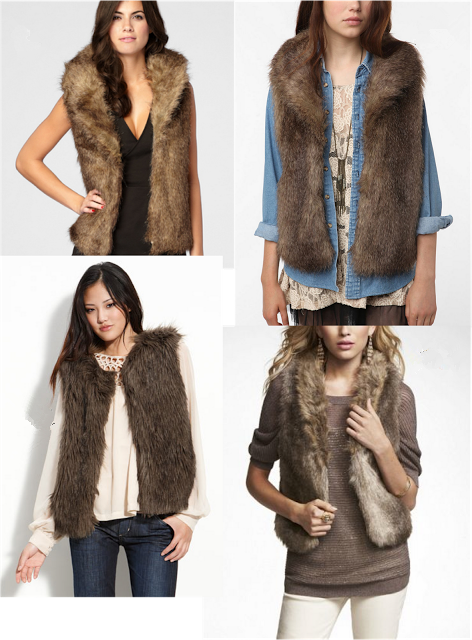 There are a couple of different types of fur vests that can be worn. 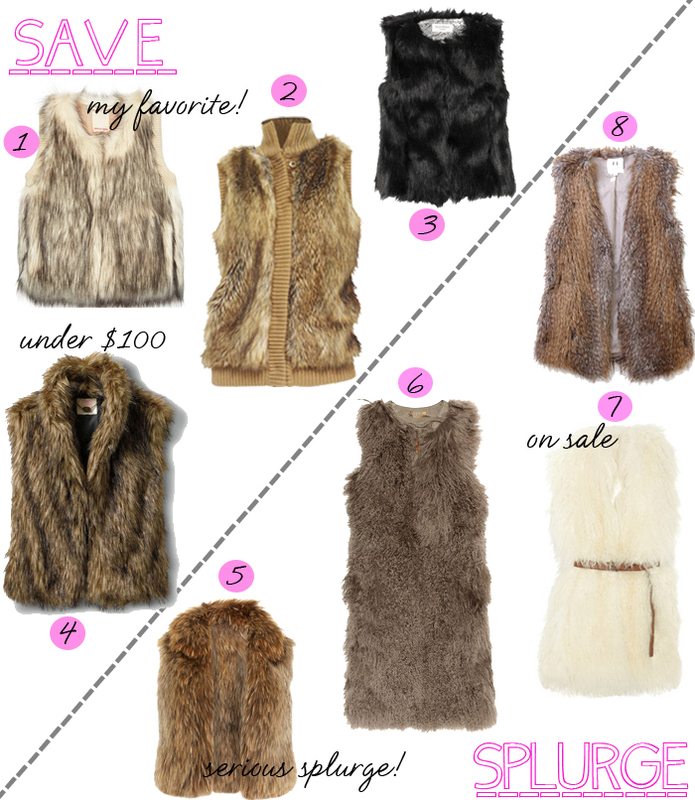 The first is the traditional faux fur sleeve vest. This reminds me of the 70s! The length of the vest falls to the hip and has a hippie look. 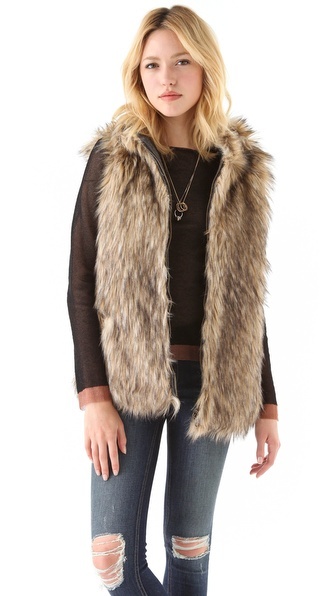 The second is the cropped fur vest. This looks great if you want an accent piece for your outfit. Wearing it at night is a good idea because it looks more fashionable than functional. An example of a nice outfit would be a long black dress, black pumps, and a cream colored cropped vest. The last vest is a colorful vest! I just bought a burgundy faux fur vest at Express. So cute! But this vest is perfect to wear if you are feeling playful. Play it up with different textures and don’t go too crazy with the rest of the colors in your outfit. An example would be a teal vest, white shirt, black leather pants, and simple jewelry.